ionlylikemonsters: Blogger is acting up! Blogger is acting up, so today's scheduled post has disappeared! 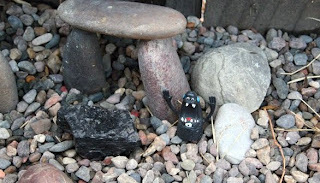 Until it returns from cyberspace, here is photo from Roland's last vacation, when he visited Roland-henge! Its awful isn't it?! I've had the same problem. My last post has disappeared and yesterday it wouldn't let me sign in.... Hopefully it will be back to normal soon! !